There is a wonderful song that I feel best describes me … “I was born under a wandering star”. This is true. I was indeed born under a wandering star. Coming from Toronto, Canada, I was mostly raised in New York City – Although we did live in other cities such as Chicago, Fort Lauderdale, Los Angeles, San Francisco and several small towns along the way. But I guess New York City was the closest I came to actually calling any one place home. 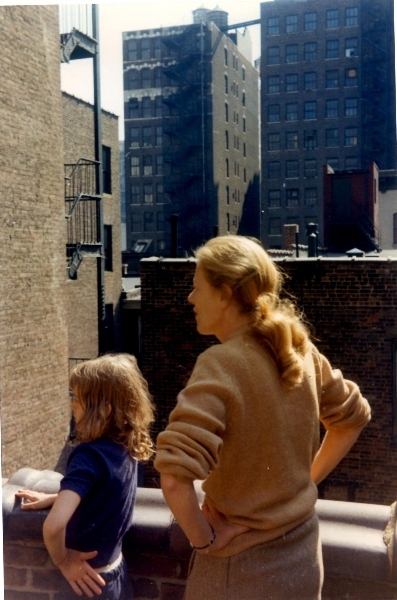 My mom and me on the roof of our apartment that many years later, would be the setting for Pegasus 1. It was on this roof that Pegasus crashed and set us both on a wondrous adventure! For me, all these cities and places were one big adventure after another. I can remember one particular occasion when my parents were moving us out west from New York to LA. We stopped in Galveston Texas just after a hurricane had blown through. Our hotel was on the beach, and right across the street was a large carnival that had been abandoned because of the storm. 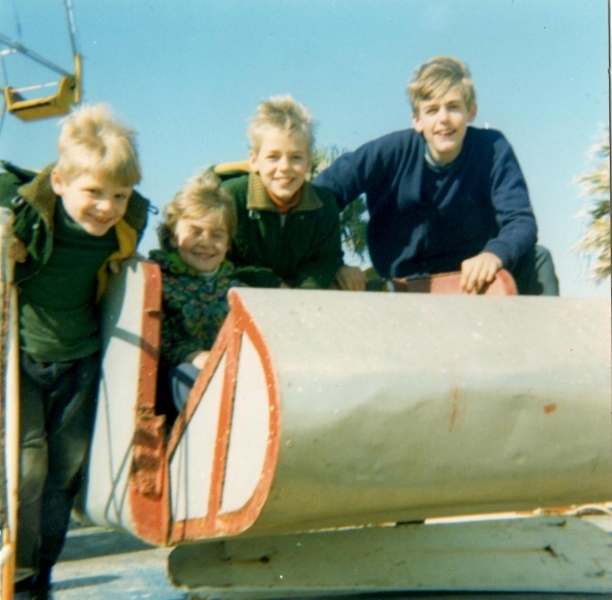 Unable to resist the temptation, my three brothers and I snuck out of our hotel and entered the fairgrounds. We had the whole place to ourselves! The rides, the fun houses, games and prizes were all ours to play with. What surprised us all the most was the popcorn still in the machines while seaweed, sand and shells covered the whole area. Our time in that ‘Play Park’ was a child’s dream come true and one of my fondest childhood memories. 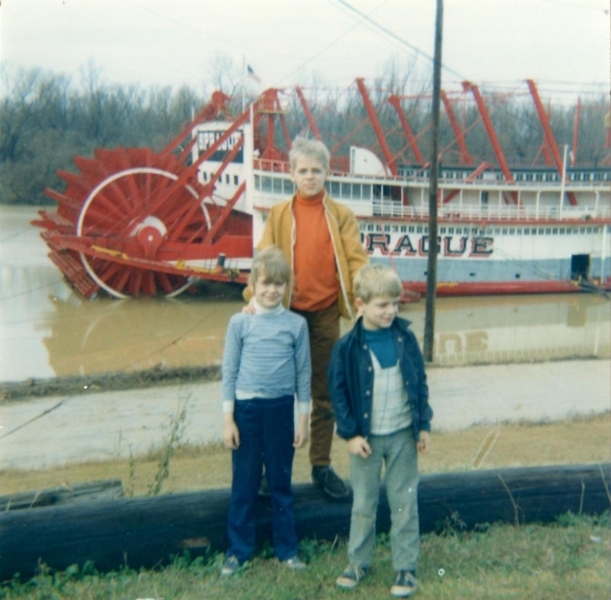 Me (sitting in the bucket)and my brothers in Galveston – our dad pushed us on that ride and made it work though there was no electricity! It was adventures such as these that fuelled my active imagination and love of everything different. So many times I would be in New York and walking down 5th Avenue, imagining that I was actually soaring among the city’s canyons on the back of a wild dragon. 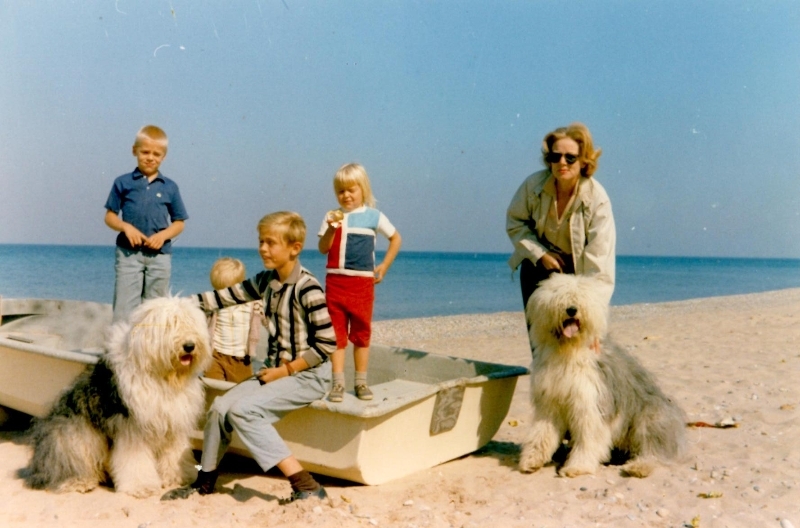 Then when we lived in Florida, we would go down to the sea and I was suddenly living amongst the whales – Laughing and breaching in the sea’ heavy swells. So long ago. I was independent even then and demanded to dress myself, even though I always put my pants on backwards! 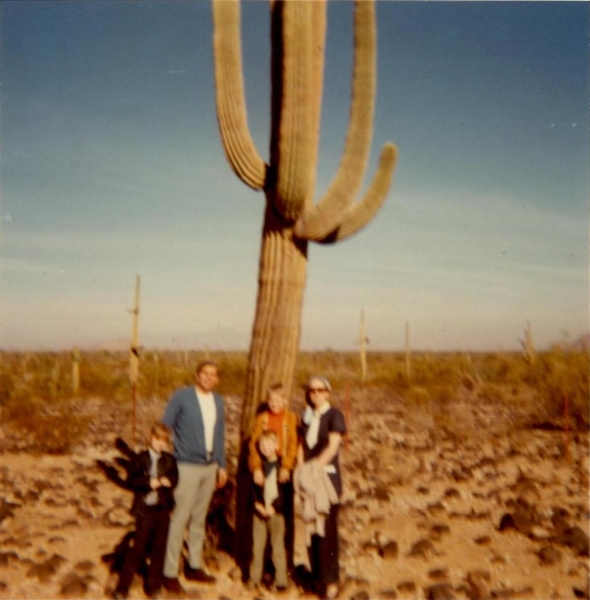 Not long after this photo was taken, my little brother, Rob touched a cactus and was covered in sharp needles! When we moved to England, and then toured Europe, I was exposed to all the exciting and rich history of the area. So much so, that my imagination spilled over and I started to write. 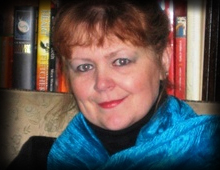 And although I have had many unusual jobs and careers, it has always been writing that has given me the most pleasure.All these things came together in me. They added to my love of reading and the fantastic stories my parents told us on our long journeys. It wasn’t long after that I was making up my own stories filled with strange and wonderful characters that I came to care deeply for. Now I want to share that pleasure with everyone. Tell stories of wild adventures in strange lands – but filled with people who are just like you and me. And of families who face terrible dangers and come together as they fight for a common goal. People who know me don't believe it when I say this - but it's true. I am a very shy and private person! No, really, it's the truth, I AM SHY! So you won't see a lot of very personal photos of me or hear a lot of details about my life. Besides, you should be busy living your own life and not reading about mine. BUT if I share anything, it will be my love and concern for animals. Either my pets or ALL the animals on this planet!